Wilbert Lewis at the 23 Club in Brisbane, CA. Photo by John Noltner. Wilbert Lewis spent more than a decade playing the washboard for his accordionist sister Queen Ida Guillory. They traveled throughout Europe, and appeared on shows like Saturday Night Live, bringing California-style zydeco to a world audience. Lewis also played on several of Queen Ida’s CDs. 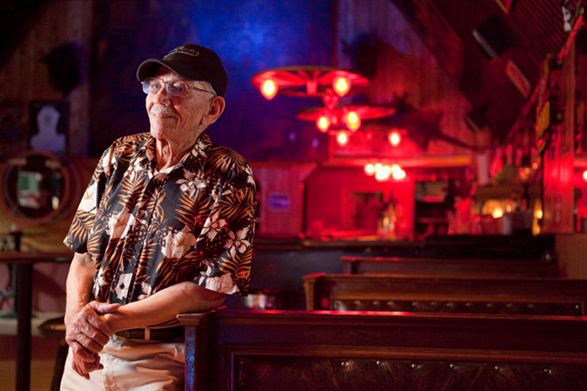 Now 85, he can often be found two-stepping at zydeco dances throughout the Bay Area. Born in Welsh, Louisiana, Lewis started attending zydeco parties when he was seven or eight. “You’d see some happy country people on Sunday evening, dancing their heart out,” he says. “They would go from house to house—they had no hall—or they’d dance outside in the yard.” But farm work in Louisiana was all-consuming, and in 1947 Lewis moved to San Francisco in search of opportunity. In this outtake, he describes how living in California helped him achieve the American dream.